In recent years, there have been numerous reports of an African economic resurgence. According to the International Monetary Fund (IMF), Sub-Saharan Africa’s economic growth is expected to increase to six percent in 2014, from five percent in 2013, supported by investment in infrastructure and production capacity. But with an estimated 413 million Sub-Saharan Africans living on less than $1.25 a day, grinding poverty remains a grim, daily fact. Political liberties and civil rights have fallen in sub Saharan Africa, with the largest decreases in freedoms of expression and association, according to a report issued by Freedom House. The report also notes that there has been a growth in authoritarian rule for the eighth year around the world. I am African. And if you listen to the winds of Africa, you’ll hear them whisper my name. Not in vain. Nor sorrow. But in full, firm acknowledgement of my being. Within my bosom I carry an eternal flame and with it I blaze my path into a future untold my held high and shoulders thrown back. I can feel the thrill of expectation hanging in the air as I navigate my way through cobwebs that have held me back in limbo for so long. My soul’s eyes are aglow: I’m now journeying into new frontier. I’ll collapse all my worlds, seek out my image and carve a new name. I refuse to be bowed down by past and present shackles. Instead, I’ll amalgamate all those experiences to build myself anew. I am the flame-lily, born out of hard rock – my desire to rise and bloom is unstoppable. Out of the dark, bloody and soggy soils from which I am fashioned lies the seed of my rebirth. My soul sinks deep to find that seed so that I can be one with it. I crave no sympathy. Neither do I need handouts. I am my own whole. I carry no hate nor fear. Only a passion to make a fresh cut of myself. In fact, all my failed hopes and false starts lumped together will make the operating system for the redesign of my sonic reality. Out of my sinews, I will weave a new song. That song of many worlds traversed and journeys travelled will be the footnote to my resolve to be one with myself again. Uncluttered. Unchained. Only determined to leave footprints along a new path that will make my ancestors gape in awe. I refuse to be hamstrung in old, worn-out legacies. I’ll stand on the pedestal of all that transpired to bring me to today and I’ll frame myself in my own terms. I am African. And if you listen to the winds of Africa, you’ll hear them whisper my name. As I connect with my present being, I’ll release my sails toward outward bound. Gently, with grave, I’ll give voice to the cataclysm brewing within. The monkey whispers are going now. Within me are kingdoms of queens and kings reviving. Drumrolls nudging me to excavate the beauty of my soul. I’m the African you’ve never seen before. Born of stars in the milky way. Non refurbished. True to the core and connected. With a singular aim to sing a lullaby to the seed rising within. Fashioned out of dark soils to dream and dance and be one with the moon. I am African. I’m coming into my own now. My destiny prepared me from the beginning. I’m old and new now, yet distinct, mutating on my path to perpetuity. Writing my own future. A thousand lights of sun will guide my path. I am African. Toying with moments of freedom in my palms. I thrums in tune to the drumbeat call of generations of soul, of pain and joy rising above the spontaneous eruption of life, uncontrollable, unbounded, free of constriction or constraint in its purest form. Beyond those hills and balanced rocks. Beyond those vineyards and gardens if you listen just a little close you’ll hear the winds of Africa whisper my name. With an estimated 2 billion people now connected to the internet, and the number growing by 200 million each, the internet is changing everything from business, politics, education, communication to how we find love and everything else in between. By 2016, there will be 3 billion Internet users globally – almost half of the world’s population, according to Boston Consulting Group, adding that the internet economy will reach $4,2 trillion in the G20 economies. Fully capitalizing the potential of the internet is increasingly a must for individuals and governments around the world. The good news is the internet is still evolving with prospects for greater power and reach. In two decades, the internet has changed the way we live, the way we work, the way we socialize and meet, and the way our countries development and grow, according to McKinsey & Company, a global research firm. The medium has opened up new and unprecedented opportunities to the world, improving the instant exchange of ideas, facilitating communication and closing the gap between inspiration and action when it comes to launching things. It is also opening up access to information in a way never seen in human history, in the process, making the world flatter. It’s global capability to connect anyone with anything is literally and figuratively redefining modern lives and livelihoods. It facilitates new ideas to show up that no-one would have ever thought of thereby giving birth to new products and services that have a potential to makes our lives easier and the world a better place. In a word, the internet is changing everything. A study of 13 countries that account for 70 per cent of the global GDP revealed that the internet accounts for an average of 3.4 per cent of the GDP. In Africa alone, the upsurge in internet usage could add could add $300bn a year to the continent’s gross domestic product (GDP) by 2025, according to McKinsey and Company. “The leapfrogging effects of the Internet make it the most interesting development on the African continent since the wide-scale adoption of mobile phones,” says Armando Cabral, a Director at McKinsey & Company. According to the International Telecommunications Union (ITU), the internet has become an essential tool for creating an environment that nurtures the technological and service innovation, and triggering positive change in business processes as well as in society as a whole. IT’S not often that you hear of smoking and its attendant health problems in Africa. After all, the continent has humongous and more immediate problems to deal with that smoking pales in significance. But the specter of public health challenges that are likely to be caused by an ever growing epidemic of smoking in Africa are worrisome to say the least. Africans can only ignore the smoking scourge at their own peril: tobacco users who die prematurely deprive their families of income, raise the cost of health care and hinder economic development. Because there is a lag of several years between when people start using tobacco and when their health suffers, African governments may find it convenient to ignore the problem. Cash outs from tobacco companies may also prevent action but the price to be paid will be huge as more Africans take up smoking. 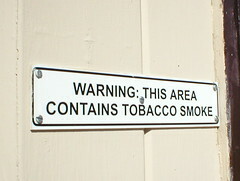 There are 1.1 billion smokers in the world today with that number expected to increase to 1.6 billion by the year 2025. Tobacco use is expected to claim one billion lives this century unless serious anti-smoking efforts are made on a global level. According to a new study by the American Cancer Society report titled, Tobacco Use in Africa: Tobacco Control Through Prevention, Africa is likely to be a future epicenter of a tobacco epidemic if current trends continue. While many African countries have low smoking prevalence, the American Cancer Society forecasts a significant increase in the near future. According the report, the number of adult smokers in Africa is expected to balloon from 77 million to 572 million smokers by 2100 if new policies are not implemented and enforced to stem the epidemic. As economies and populations grow, Africa will provide a lucrative market for tobacco companies, raising fears of a spike in smoking related problems. The report projects that by 2060, Africa will have the second most smokers of any region, behind Asia, with 14 per cent of the world’s smokers (from the current 6 per cent), and by 2100 Africa will be home to 21 per cent of the world’s smokers. “Not only is significant market scope brought about by population growth and a low base of smoking prevalence, but also through the potential for increased sales to current smokers. As economies and incomes grow, and as cigarette and tobacco markets in Africa develop and mature, so will smoking intensity, thereby increasing the value of the market dramatically,” states the report, adding that without action, Africa will grow from being the fly on the wall, to the elephant in the room of tobacco health problems. In Africa, the benefits of the prevention strategy in terms of public health seem smaller at first due to the current lower smoking prevalence, but they will skyrocket in the near future due to population growth and the projected number of smokers in the long run, states the report. According to the World Health Organization (WHO), the tobacco epidemic is one of the biggest public health threats the world has ever faced, killing nearly six million people a year. More than five million of those deaths are the result of direct tobacco use while more than 600 000 are the result of non-smokers being exposed to second-hand smoke. Approximately one person dies every six seconds due to tobacco, accounting for one in 10 adult deaths.